"This is quite an exciting discovery," says Chang-Beom Eom, professor of materials science and engineering. "We've found a new method of electronic switching." This transition usually means that the arrangement of a material's atoms and its conducting electrons must change in a coordinated way, but the atomic transition typically proceeds much more slowly than the smaller, lighter electrons that conduct electricity. "The metal-to-insulator transition is very important for switches and for logic devices with a one or a zero state," he says. "We have the potential to use this concept to make very fast switches." In their research, Eom and his collaborators answered a fundamental question that has bothered scientists for years: Can the electronic and structural transition be decoupled—essentially, can the quickly changing electrons break out on their own and leave the atoms behind? They used a material called vanadium dioxide, which is a metal when it's heated and an insulator when it's at room temperature. At high temperatures, the atoms that make up vanadium dioxide are arranged in a regularly repeating pattern that scientists refer to as the rutile phase. When vanadium dioxide cools down to become an insulator, its atoms adopt a different pattern, called monoclinic. Crucially, vanadium dioxide transitions between a metal and an insulator at different temperatures depending upon the amount of oxygen present in the material. The researchers leveraged that fact to create two thin layers of vanadium dioxide—one with a slightly lower transition temperature than the other—sandwiched on top of each other, with a sharp interface between. 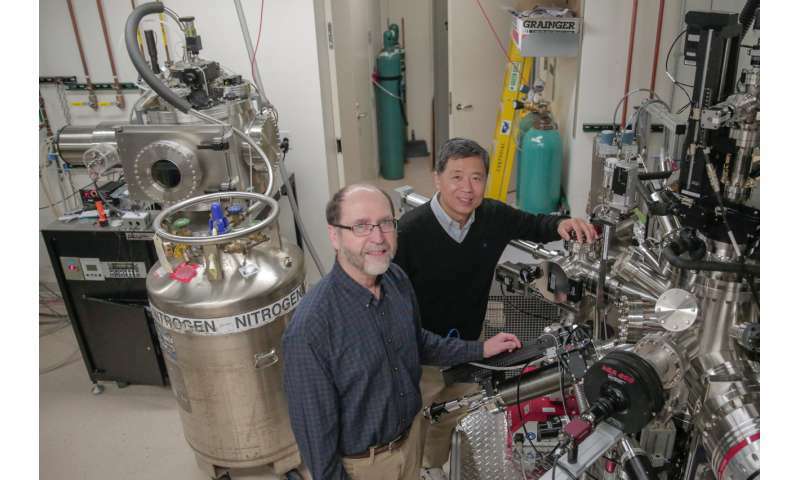 Although other research groups have attempted to create electrically conductive insulators, those materials lost their properties almost instantly—persisting for mere femtoseconds, or a few thousandths of one trillionth of a second. The Eom team's material, however, is here to stay. "We were able to stabilize it, making it useful for real devices," says Eom. Key to their approach was the dual-layer, sandwich structure. Each layer was so thin that the interface between the two materials dominated how the entire stack behaved. It's a notion that Eom and colleagues plan to pursue further. "Designing interfaces could open up new materials," says Eom. I predict this discovery will change the electronics industry in a huge way. Vanadium is pretty cheap as far as such materials go, latest prices look like about 30 dollars a pound, and that is up considerably over the last few years. In other words, the costs are almost completely in the processing, not the materials, unlike devices based on Rhodium or Platinum, etc. That thin sandwich layer is reminiscent of quantum tunneling material. Perhaps the real physics will involve something to do with quantum effects. Should be an exciting next few years!